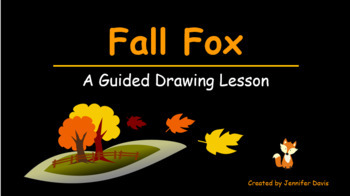 This art lesson is a guided drawing and a guided painting art lesson great for students in grades 1st - 6th grades. 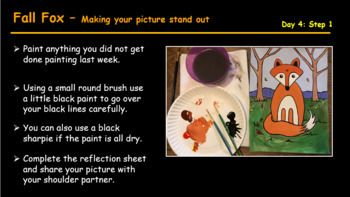 It is a 27 page Power Point that is broken down into 4 days with teacher notes on key slides. 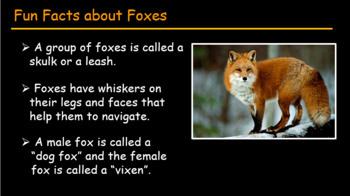 It has two slides at the beginning that list fun facts about foxes. 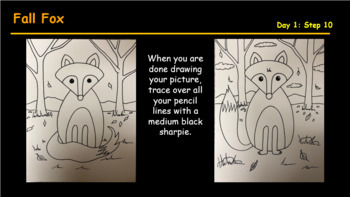 It also includes a grading rubric at the end and the art National Art Standards.